This week my teaser comes from Eleanor Oliphant is Completely Fine by Gail Honeyman. I’m actually listening to this as an audio book rather than reading it so I’ve had to resort to the sample from Amazon for my teaser (I’m usually driving while listening so can’t take notes). I’m not very far in to the story but I am absolutely loving it. It’s a little odd, kinda funny but also a little bit sad and the narrator is brilliant. I have always taken great pride in managing my life alone. 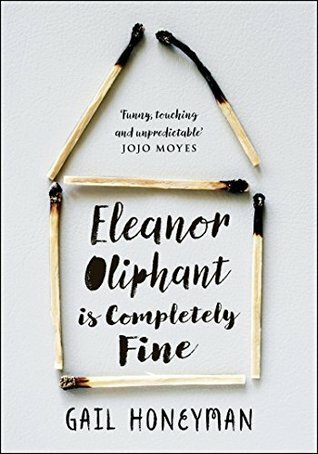 I’m a sole survivor – I’m Eleanor Oliphant. I don’t need anyone else – there’s no big hole in my life, no missing part of my own particular puzzle. I am a self-contained entity. It’s definitely one of those books. If I was reading it on my kindle I’d be doing nothing but highlighting. I’m loving it but like you say I suspect it’s one of those books you’ll either love or hate depending on how you take to the character. I think what I’m loving is the unpredictability of it. Love that teaser! I can’t wait to pick up this title myself. Happy reading! Here’s my teaser of The Dollmaker Of Krakow by R.M. Romero. One title has to be the first, right? 😉 I hope you will keep enjoying it! I have the audio book for this one too! I’m really glad to see your enjoying it so far. I don’t do a lot of audio books, I’m slowly trying to warm up to them. I’m really hoping to start it soon. Agreed…it’s all about the narrator! I listened to This is How it Always Is and loved it if you are looking for a good one. It’s a thought provoking book done with a great sense of humor. I’m always looking for good audios. That sounds similar to this one. Thanks for the recommendation. Ooh! I love this teaser! I may have to add this to my tbr list.Thank you for sharing! That quote has me wanting to read this! So powerful!